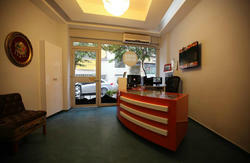 Best Located Hostel in Istanbul! 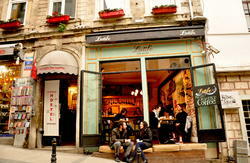 Just in the heart of historical Istanbul, Old City Hostel is only 100 meters away from Sultanahmet tram station. -and many more mosques, museums, Turkish baths, touristic attractions, bakeries, restaurants, and supermarkets around. Cleanliness, safety and comfort are top priorities for Old City Hostel. All dorms have large windows, air conditioning, central heating units, steel lockers, free Wi-Fi and private ensuite bathroom with a shower, a toilet, a washbasin and a hairdryer. Fresh pillows, bed linen, towels, city maps and use of the public computer is offered free to the guests. Each bed also has a reading light and power plugs next to it. The front desk is 24 hours open and the friendly staff is always ready to help the guests. 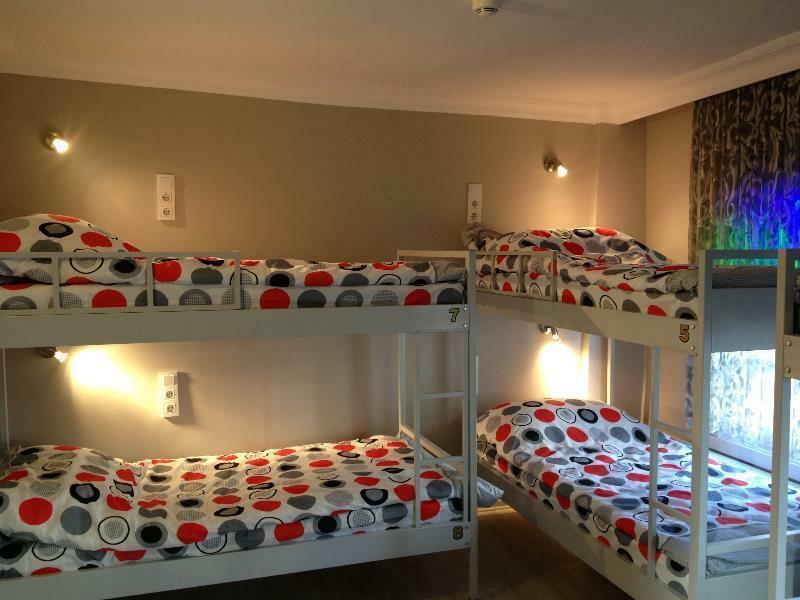 The hostel is situated in a 100-year-old building that was renovated in April, 2012. 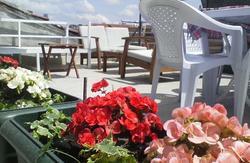 It has an outdoor seating area on the street, and a terrace on the top floor with a stunning sea view. Included in the bed price, Old City Hostel serves Turkish breakfast in the morning from 08:00 to 10:00, including three types of Turkish cheese, salami, black and green olives, tomatoes, cucumbers, butter, jam and fresh bread with Turkish tea or coffee. The on-site cafe is open all the day and offers lunch, dinner, waterpipe and all types of drink. The guests can also arrange tours and trips via Old City Hostel and there is a two-way shuttle service for both airports of Istanbul. -Cancellation possible in case of 48-hour in advance notice. Online bookings must be cancelled online. Late cancellation or no-show up is charged for one night price. -Payment to be made in cash (Euro, US Dollars, Turkish Lira) or credit card upon arrival. -Guests between the ages of 14 and 50 are accepted. -Right of admittance is reserved by the hostel. Contact the hostel for the two-way shuttle service for both airports of Istanbul. -Get off at Sultanahmet station. -Exit station and walk uphill, then turn to the second street (Bestekar Osman Sokak) on the right. Fourth building on the left is Old City Hostel.